Ebola / Grumo split ep out now! 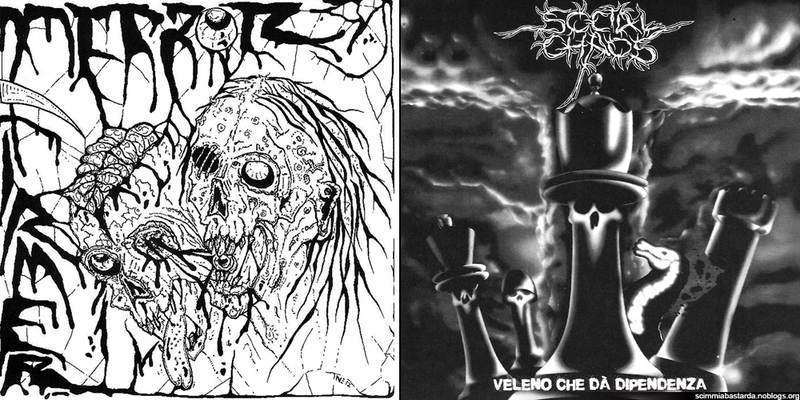 Ebola (Brescia raw crustgrind) and Grumo (Modena trash grind). Pressed in 300 copies! Check your copy before and …FOAD!!! 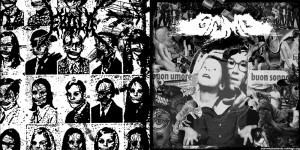 Continue reading Ebola / Grumo split ep out now! Comment on Ebola / Grumo split ep out now! 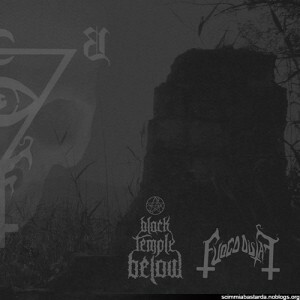 Fuoco Fatuo / Black Temple Below split lp out now! Fuoco Fatuo (www.fuocofatuo.bandcamp.com Extreme Blackened Doom) + Black Temple Below (www.blacktemplebelow.bandcamp.com Funeral Sludge) SPLIT 12″ LP! RELEASE DATE: 21/12/2012… BUY AND DIE! Continue reading Fuoco Fatuo / Black Temple Below split lp out now! Comment on Fuoco Fatuo / Black Temple Below split lp out now! Social Chaos / Terror Firmer split ep out now! 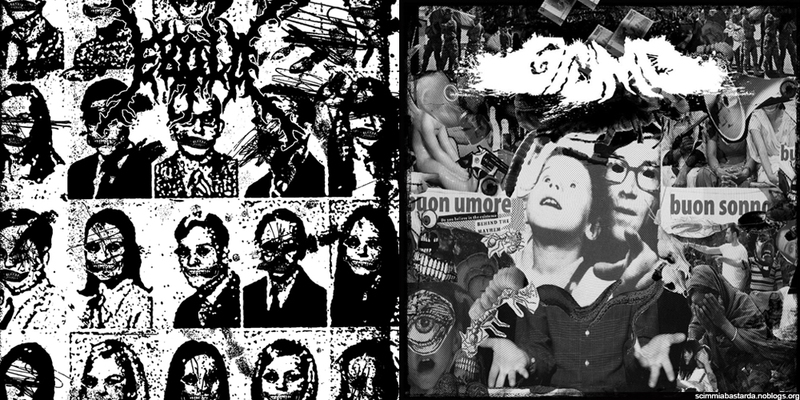 Social Chaos (Sao Paulo raw old-school grindcore) and Terror Firmer (with members of Cancer Spreading, Repulsione, Jesus Aint’in Poland… thrashcore-grind against humanity!!!). Pressed in 500 copies, co-released with: Audio Lesion, Jennifer Grind, Goodbye Mankind, Deathcrush distro, Zas records. Check your copy before it’s too late! Continue reading Social Chaos / Terror Firmer split ep out now! 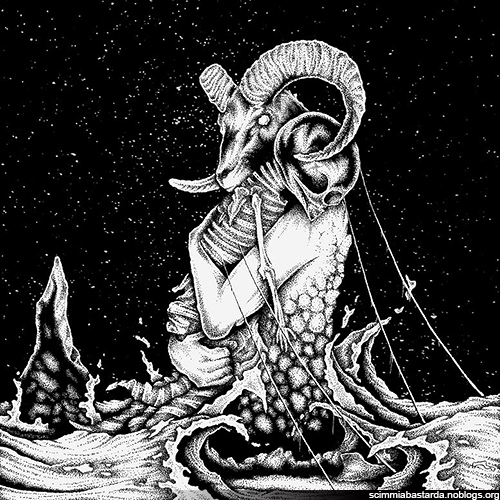 Black Trinity / Cancer Spreading split ep out now! 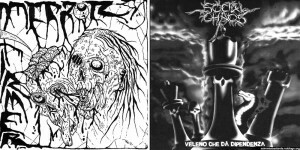 Black Trinity (Thessaloniki raw black metal like Mayhem early recording) and Cancer Spreading (Italy old-school crust). Amazing artwork by ADMC07, pressed in 500 copies, co-released with: Goodbye Mankind, Scull Crasher distro, Sick Punk productions, Deathcrush distro, Zas records, Aback, Alcoholic Desaster and We Dont Fight It. Check your copy before it’s too late! Continue reading Black Trinity / Cancer Spreading split ep out now!